Happy Cranksgiving? 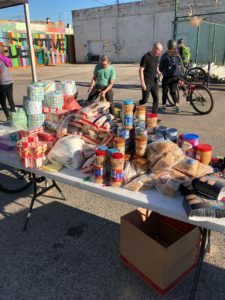 That’s right… Grace Klein Community was honored to be the beneficiary for Redemptive Cycles Cranksgiving ride this year. 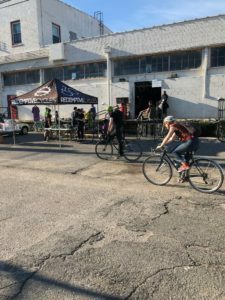 Redemptive Cycles mission is to redeem the streets. 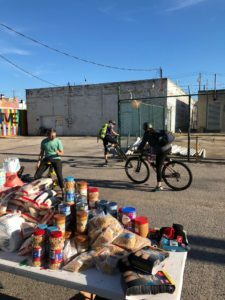 They believe that equipping people with bicycles makes Birmingham a more connected, comfortable, and livable city. 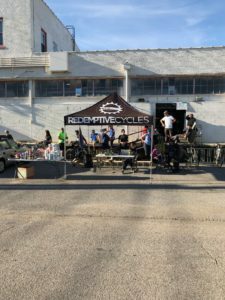 Redemptive Cycles shop is located at 1305 2nd Avenue North in the heart of Birmingham. They sell new and used bikes and have a repair shop. Most of their rides take off right out back in the alley behind the shop. 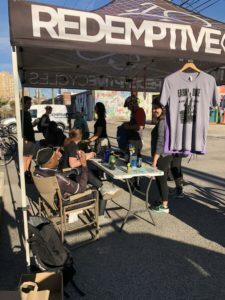 Riders began their almost 15-mile journey around Birmingham on Saturday, November 3, about 1:00 pm and stopped at designated pick up points to fill up their backpacks with as many items as they could. Items like peanut butter, rice, canned meat, nuts, dried fruit snacks, toilet paper, and new underwear. By 4:30 pm all riders had crossed the finish line and unloaded their packs. The items were counted and weighed to determine winners. There were winners according to weight and volume. 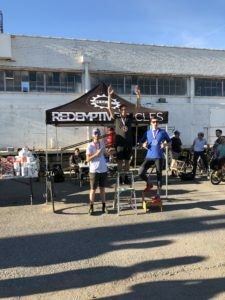 We really appreciate Redemptive Cycles and their cycling family for choosing Grace Klein Community as their Cranksgiving partner. Want to support our partner? Purchase your next bicycle from Redemptive Cycles.